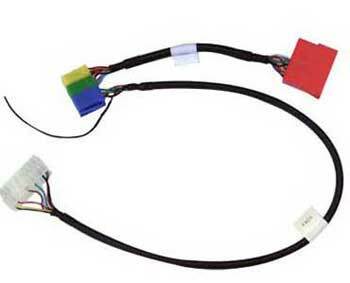 The AUDS adapter harness from GROM AUDIO allows the connection of aftermarket products that use the 8-pin connector (blue) on the back of some Audi radios that are NOT prewired for a CD changer. In such vehicles, a solid 20-pin connector block access to the 8-pin CD changer port. To use the AUDS harness you must first disconnect this solid connector and plug it into the AUDS (red connector), the yellow and green plugs on the AUDS connector into the radio leaving the 8-pin CD changer port open. Audi vehicles that may require such harness are: A4, A6, A8, and Quattro etc. Before purchase please make sure that your vehicle needs this part! Note: VAGS cable is sold separately avalibly or includid with Grom Interface (see Interface description).